Influential Black Greeks are movers and shakers in their communities. They wear their letters and colors proudly as they represent their organizations. 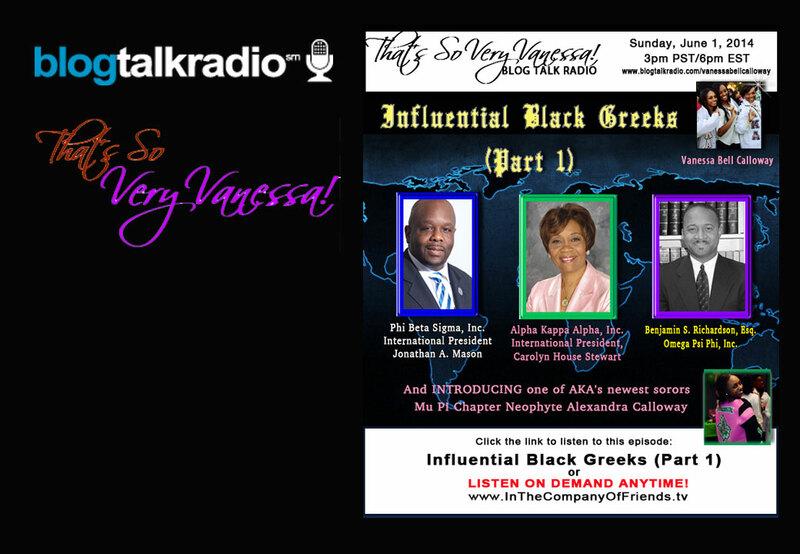 Meet International President of Alpha Kappa Alpha Sorority Inc. Carolyn House Stewart, International President of Phi Beta Sigma Fraternity Inc. Jonathan A. Mason and attorney Benjamin S. Richards member of Omega Psi Phi Fraternity Inc. They share some of their undergraduate experiences and discuss their continuing love and dedication for their organization.. Introducing neophype Ally Calloway (Alpha Kappa Alpha).